Thanks to the Young Adult Community at St. Clement, I had the chance to answer this question in 30 minutes or less as a part of their “A Shot of Theology” speaker series. There is a lot of advice that I could serve-up in a short amount of time, but for this burst of “highly concentrated Catholic theology” I focused on the Four F’s of Catholic marriage – Free, Faithful, Forever, and Fruitful – from a single person’s point of view. (There are some variations on the four F’s, but you can look up Question #3 for the official criteria here.) So, let’s take a brief look at how the church’s teaching on marriage can be beneficial to singles who are hoping to make a lifetime commitment with someone they love. In the context of Catholic marriage, the question about freedom is whether or not you are free to marry in the Catholic church. Likewise, in the marriage rite, a couple is asked to freely give their consent. So, beyond simply being free to marry, how are you doing with freedom? Freedom is one of the great gifts of being single! I can choose how to spend my time, where to travel, which friends to hang out with, and what time to get up in the morning. However, true spiritual freedom is more than doing “whatever I want, whenever I like”. When we are truly free, we are compelled to act in accordance with our deepest values and inner truth. True freedom allows us to be the person God intends us to be. What does real freedom look like in the single life? How do we know that we are acting in a way that is truly free? There was this sense of obligation that he MUST get married and that having children was the ONLY way he could be fulfilled. I could hear the frustration in his voice, but mostly because HIS plan was not working. That’s not true spiritual freedom. Growing in freedom comes through prayer (talking as well as listening), through honest discernment (is this something that I want, and is it what God wants also? ), and maybe taking a risk to try something new (a geographical move, a career change, accepting a first date with someone who may not necessarily be “your type”, trying a new hobby). It means exploring ALL of my options (even the options I would consider impossible or improbable), and by allowing our hearts to be completely open to follow God’s will. It means trusting that God has my greatest happiness in mind. All Christians are called to a life of holiness – whether we are called to marriage, single life, or religious life. Furthermore, our most fundamental call as Christians is for us to LOVE one another. It is a call to love God and to love your neighbor as yourself. Discerning one’s vocation is really a response to the question: how am I best suited to love people? One of the biggest mistakes we can make (and unfortunately, this even happens within the church) is that we glamorize marriage. In our American culture, we have certainly over romanticized marriage and placed too much emphasis on the wedding day. For some people, marriage is the ultimate “goal” or indicator of “success” in a relationship. At times, marriage is so exulted that singles feel an undue pressure to find Mr/Mrs Right. Singles wonder if something is wrong with them because they aren’t in a relationship. Some singles even feel excluded from parish life because they don’t have kids in the Catholic school. For singles who desire to one day be married, it is essential to name and claim marriage for what it is! Marriage is a vocation. It is a particular call from God in which two people respond in love for one another. Marriage is also a sacrament. It is a visible sign of God’s invisible grace. Healthy and holy marriages are a mirror of God’s love, and ultimately, they show us how great God’s love is for each of us. Love is not easy, and most married couples will tell you that they aren’t perfect! Singles need strong role models if we are going to be realistic about the joys and challenges of married life. I wonder if we can find marriage role models who are deeply committed to one another because love hasn’t always come easy. Do you know any couples who are struggling financially or have been unemployed? Is there anyone in your faith community who is coping with aging parents or a sick child? Do you know any couples who had a miscarriage or waited a long time for an adoption? Can you ask them (in a loving and gentle way), “how’s your marriage?” What does it really mean to love and honor one another in sickness and in health, for richer or for poorer, in good times and in bad? Perhaps our greatest role models are those who constantly strive for holiness despite a far-from-perfect life. The idea of commitment is frightening for some singles, and a first step toward commitment might involve getting a cat or taking care of house plants! But seriously … who are the people in your life that you’re really committed to? What does commitment look like for you? I often think about my married siblings and their kids. Life is not always convenient for them. Their weekends revolve around soccer practice, and their days get rearranged when the carpool driver has to cancel. Not to mention, a trip to the Emergency Room is rarely scheduled in advance! Am I willing to be inconvenienced without complaint to ensure the safety, success, or well-being of another person? How much of my time, money, and energy am I willing to sacrifice for my family, friends, and faith community? What happens when I’m asked to take on responsibilities at the last minute, when I’m already financially strapped, or when I’m simply feeling selfish about my time? Radical commitment can come as a threat to our independent single lives. Jesus tells us, “no greater love is there than this, but to lay down one’s life for one’s friends.” Love is more than warm, fuzzy feelings. Love is a decision, and often that means making sacrifices for those we love. Chances are, the places where we are most fully committed, are also the places we are most fully in love. Finally, for many people, the desire for marriage also means the hope of someday having children. Children are a great gift, but they are certainly not a guarantee. The heart of our Catholic teaching on sexuality includes two important words: unitive and creative. I know a priest who asks engaged couples, “where is there ‘more’ in your life since the two of you began dating?” Often they respond by talking about having more patience, greater forgiveness, or perhaps a hobby they have taken up together. As single people, we can intentionally practice being fruitful. Where is there room for “more” in your life? The single years are a great time for self-discovery and self-improvement. Who am I? What am I passionate about? What are my strengths? My interests? And where is “new life” being generated? How am I allowing God to create new life through me? New life expresses itself by welcoming guests into your home, creating works of art, visiting a sick friend in the hospital, bringing joy to people through the gift of music, or time spent in prayer. We bring forth new life into the world when we mentor new employees, care for the ill or the elderly, teach young children, and provide financial support to worthwhile causes. New life comes through prayer, through volunteer service, and through relationships with the poor. It happens in chapels and soup kitchens and hospital rooms. Any expression of love that is truly holy and God-given can always be identified by these two qualities. It unites us together with those we love, and it creates new life for others. The USCCB has a great online resource for married couples called For Your Marriage. 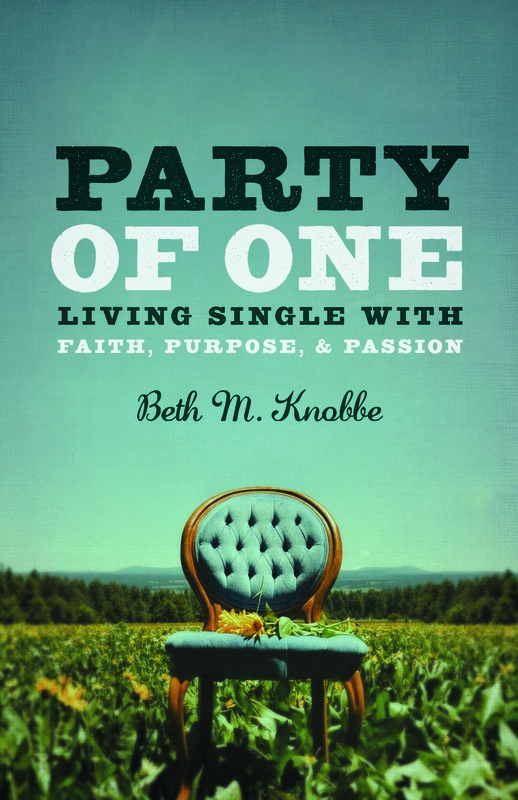 It also includes articles for those who are single, dating, and engaged. What a great tool for anyone who is discerning a vocation to marriage! Virginia has already invited herself to my wedding. Virginia is an old family friend, and every time my parents run into her, Virginia asks, “When is Beth getting married? We can’t wait to come to her wedding!” It’s not that I wouldn’t want Virginia at my wedding. I just think she’s going to be waiting for a long, long time. I recently shared this story with a friend, who relayed a similar story. As a 30-something single adult, she attended a family reunion, and her great-aunt remarked, “Oh poor thing, you never got married.” As if her life was ruined and there were no hope for the future. My friend is not the kind of person who wallows in self pity. Likewise, I don’t worry about whether or not there is a wedding in my future. Life is not always perfect, but it is by no means incomplete. I am blessed with an abundance of friends, a loving family, and fulfilling work. 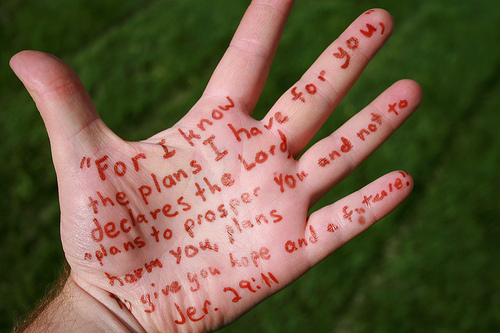 I trust that God has a purpose in store for my life, and I’m amazed at the ways I see that unfolding. With whom are you being invited to spend your life? Are there people, places, organization, or causes to which you have committed your time, passion, and creative energy? Where are you being called to say “I do”? I want people to embrace the fullness of life, and I believe that only happens when we say “yes” to God’s invitation – no matter where God call us. I’m celebrating a full and abundant life today, and you’re invited!